1. 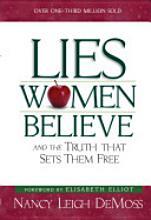 Lies Women Believe and the Truths That Set Them Free by Nancy Leigh DeMoss- I LOVE the truths in this book, and it was really eye opening for me to read some of the lies I allow Satan to use to deceive me. This is definitely a must-read! 2. Becoming a Person of Influence by John Maxwell- As a teacher and leader in many areas, I love the lessons it teaches about integrity, nurturing, modeling, trust, and motivating others. 3. So Long, Insecurity by Beth Moore- I have struggled with some insecurities in the past. I think it's just in the nature of a woman. I really believe insecurity is one of Satan's tools to attack Christians and I am so thankful I went to Beth Moore's conference and read the book. I feel like I've finally got a grip on my insecurity and have become a more secure woman in the Lord. 4. 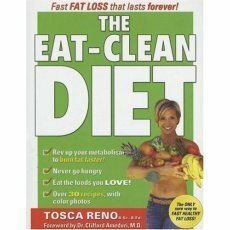 The Eat Clean Diet by Tosca Reno- This book totally taught me HOW to make clean eating a lifestyle and change many of my habits to improve my overall well being. I love the way I feel now, and I reread it often to keep it fresh. It's funny that none of my favorite books are actually stories with plots & characters....I read "self-improvement" books...haha! I don't suppose that is such a bad thing. There was only room for 4 books and I had a tough time even narrowing that list down, but the Bible is fo sho my #1!! I really love to read the Bible, and no I'm not saying that to sound like a super Christian. I'm the first to admit I don't read and study it nearly as much as I should. But I do LOVE my Bible. I love that it is His love letters to us and instructions for how to live a life that is pleasing to Him. I love that every time I read the Word He reveals something new and afresh....proving it really is the living, breathing Word of God. I love that it is sharper than any double -edged sword and can bring conviction in simply reading a passage. I love how encouraged I feel after reading my favorite Scriptures. And I love how it addresses any and every need we have. My favorite books are James, Ephesians, and Genesis.